PLEASE keep in mind we are strictly CHARTER FISHING VESSELS. We book the full vessel only and not individuals. THANKS! Headed offshore and the bottom fish nearly chewed a hole through the bottom of the boat. 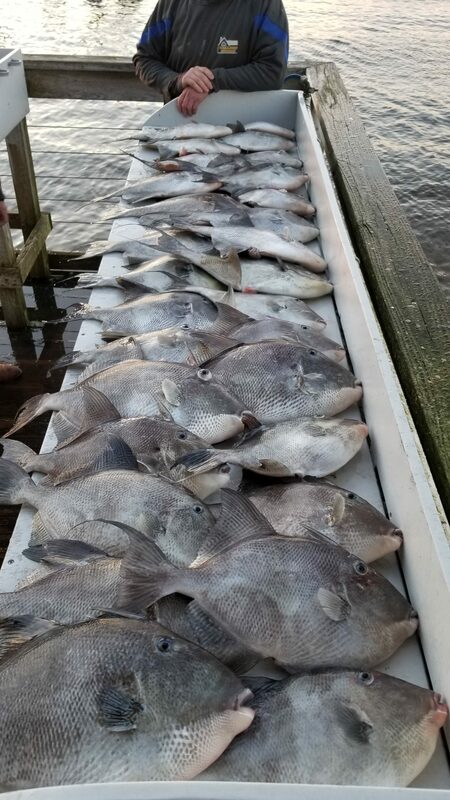 We had 34 triggerfish, 20 vermilion snapper, 12 red porgy, almaco jack, and 2 silk snapper. Amazing box of fish! This was on a 12hr charter and we ended up 62 miles offshore. Trolling for wahoo in the deep water is still producing some fish; some days better than others of course. 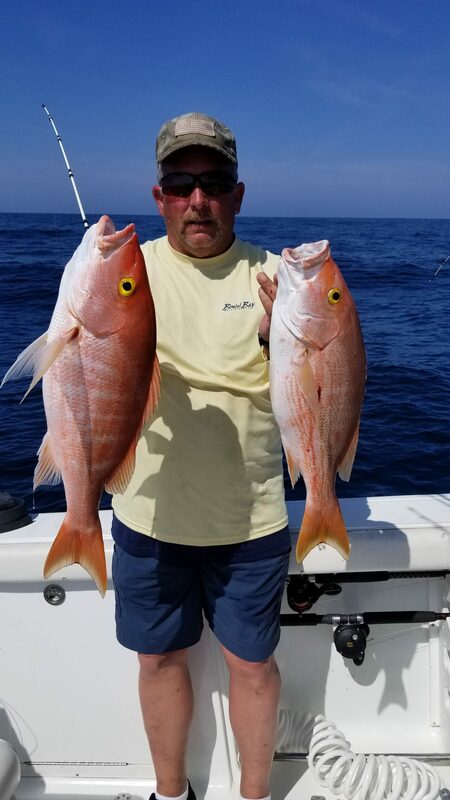 The bottom fishing from 45-60 miles is still producing vermilion, triggerfish, red porgy, amberjack, almaco jack, and a few mangroves and muttons. 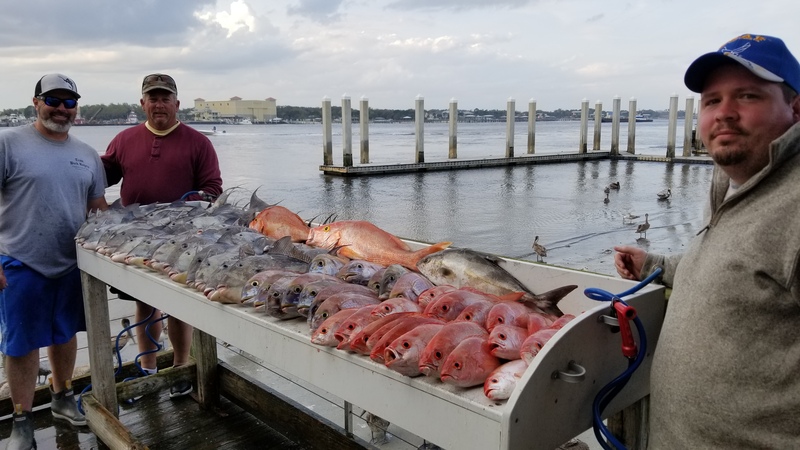 Black sea bass, red snapper, ringtail porgies, and some sheepshead inside 30 miles. The first 12 hr trip of 2019 was a huge success. We headed out with plans to only bottom fish. 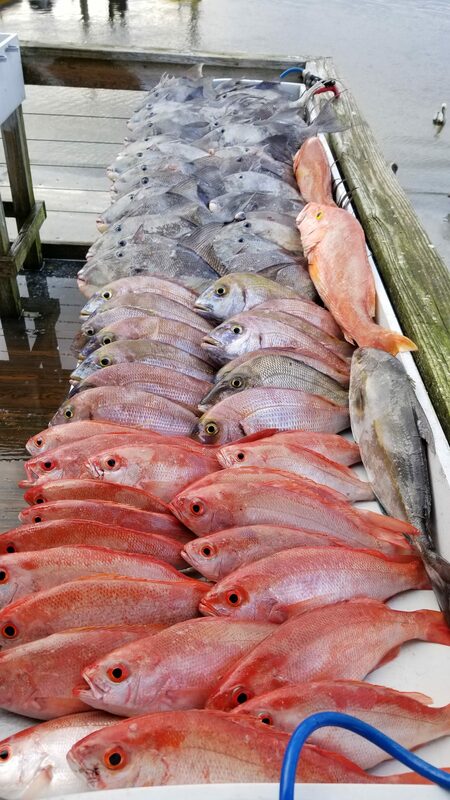 We limited out on vermilion snapper, 24 triggerfish, 15 red porgy, several almaco jacks, 23 black sea bass, 3 cobia, and some misc fish. We filled the fish box up and had to use the bait cooler for fish! Amazing day on the ocean! !